We were excited and honored that Rob Spillman would take part in our interview series. Mr. Spillman is editor and co-founder of Tin House. The publication is without question one of the best literary magazines in the country. He spoke to us by email. We enjoyed this interview very much. Spillman: We started in order to liven up the literary world. Magazines at the time (1998) had an attitude they were supposed to be like Caster Oil–medicinal, good for you, but hard to swallow. We wanted to have some fun, put out a well-designed, playful counterpart where the best writers could write about what they were most passionate about. Spillman: I love writers who push the form, so I have been particularly proud to publish writers like Jo Ann Beard, Jim Shepard, Joy Williams, Karen Russell, Jennifer Egan, and Kelly Link. EWR: What advice would you give young writers trying to publish with your magazine? Spillman: Take some time to get to know us, to understand what kind of writing we love–generally very voice-driven–and make sure your manuscript is as clean as possible. If you don’t care about your manuscript, why should we? Spillman: I am particularly excited by genre-blurring writers. On the fiction side, by women writers pushing the surreal envelope (hence our issue Fantastic Women, with writers like Aimee Bender, Kelly Link, Stacey Richter). Also poetry/nonfiction hybrids like what Nick Flynn has done. As well as new nonfiction as done by John D’Agata, Jo Ann Beard, David Shields, and Maggie Nelson. Spillman: Oversee all aspects of the magazine, assist with our festival and book division. Spillman: Excited about our annual literary festival, which takes place in July at Reed College in Portland, Oregon. Spillman: I had the honor of editing the Penguin Anthology of Contemporary African Writing, which came out in 2009. My current side project is being a roadie for the band Care Bears on Fire. Spillman: That I continue to be surprised. After thirteen years, I am still surprised by great work. If I find that I have stopped being surprised, I’ll stop editing. Spillman: If you feel passionately about publishing writers who are not currently finding outlets, just do it. The challenges are always great, but the rewards are absolutely worth it. Spillman: Good work rises. I firmly believe this. If you are producing great work, you will find an audience. 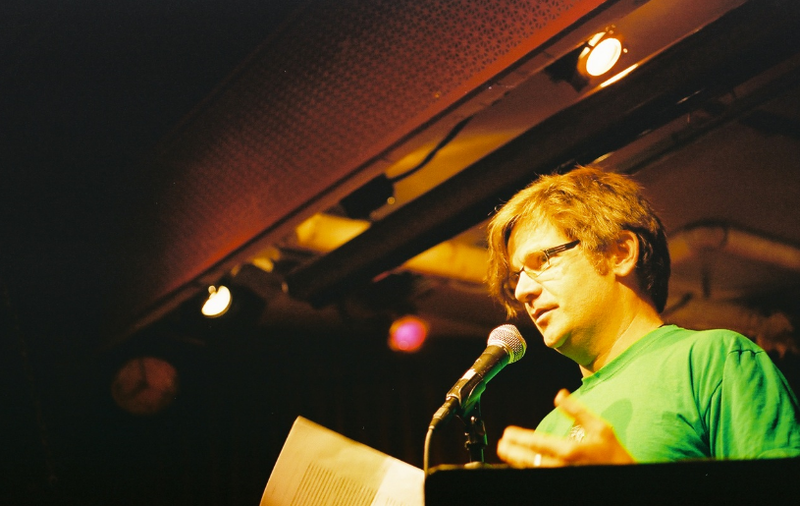 Rob Spillman is Editor and co-founder of Tin House, a twelve-year-old bi-coastal (Brooklyn, New York and Portland, Oregon) literary magazine. Tin House has been honored in Best American Stories, Best American Essays, Best American Poetry, O’Henry Prize Stories, the Pushcart Prize Anthology and numerous other anthologies, and was nominated for the 2010 Utne Magazine Independent Press Award for Best Writing. He is also the Executive Editor of Tin House Books and co-founder of the Tin House Literary Festival, now in its seventh year. His writing has appeared in BookForum, the Boston Review, Connoisseur, Details, GQ, Nerve, the New York Times Book Review, Real Simple, Rolling Stone, Salon, Spin, Sports Illustrated, Vanity Fair, Vogue, Worth, among other magazines, newspapers, and essay collections. He is also the editor of Gods and Soldiers: the Penguin Anthology of Contemporary African Writing, which was published in 2009.